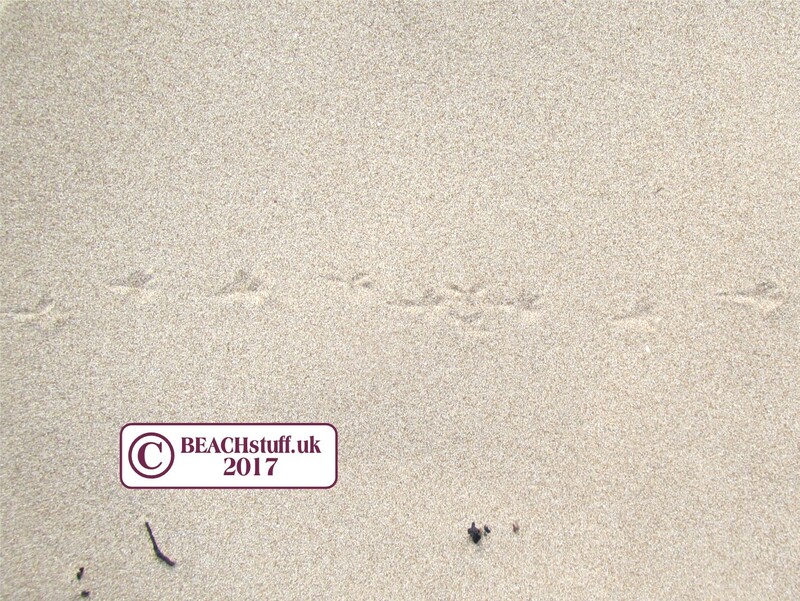 Footprints in the sand can be very fleeting - especially when the sand is very dry or the wind very high - but, for the keen observer, they can be a great way of seeing who has been visiting the strandline. 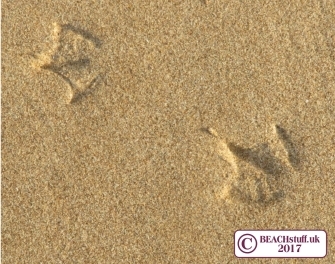 Smaller versions of the herring gull prints above may belong to black-headed gulls. 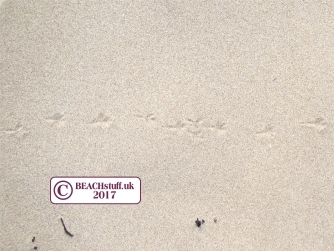 While the sand here was too hard for footprints to be formed, the scraping of the sand, and the remainder of a shore crab, suggests that a gull was feeding here. 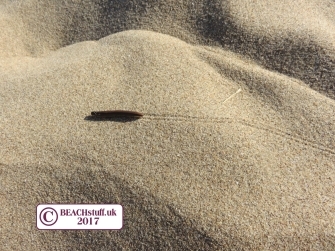 Tiny snails can make quite a mark on the sand - like this dog whelk. 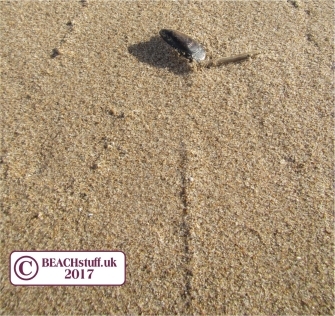 Dog whelks would prefer to be in far wetter places than strandlines so this poor snail was probably looking for water. 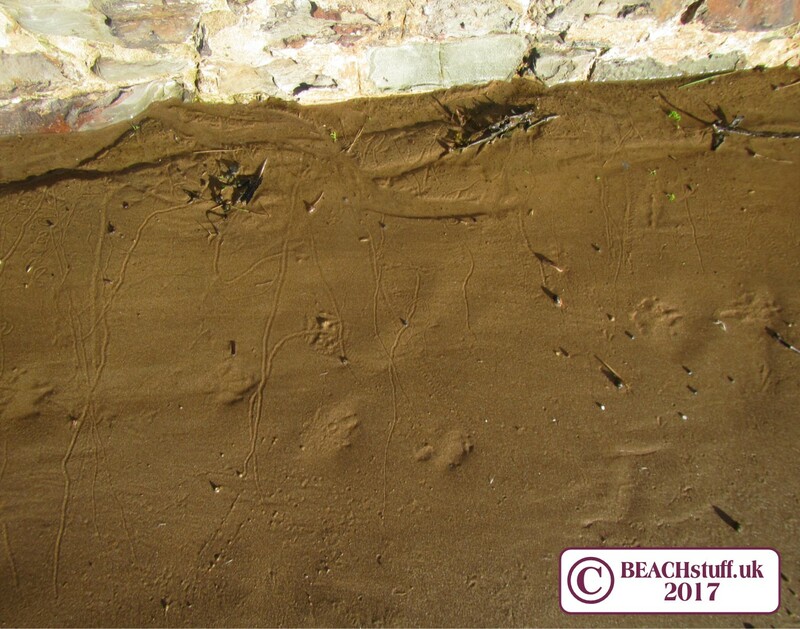 I popped him into a rock pool. 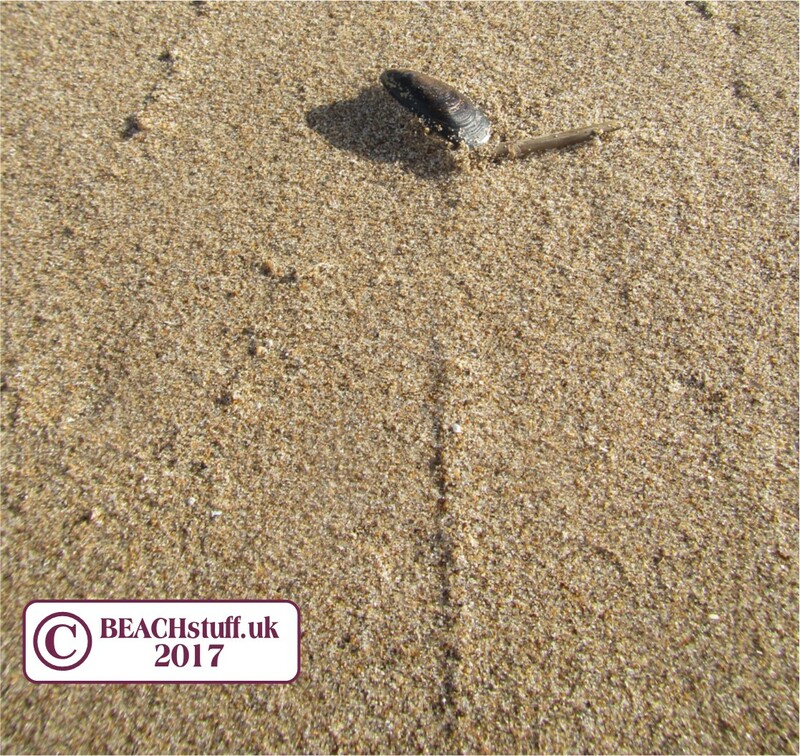 This small mussel, like the dog whelk above probably searching of water, made quite an indistinct track. 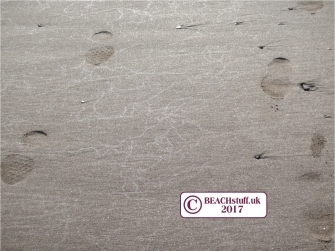 Sometimes when the tide has only recently gone out and the sun is shining in the right direction, you can see the glistening tracks of molluscs who were travelling on the sand when it was covered in water. 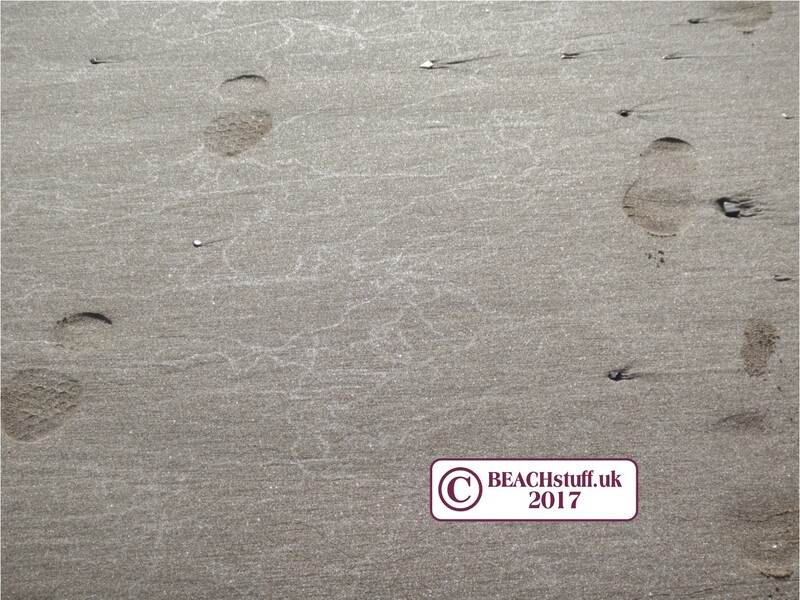 To our untrained eyes, it looks like they were all wandering around in circles but I expect they were far more purposeful than it looks. 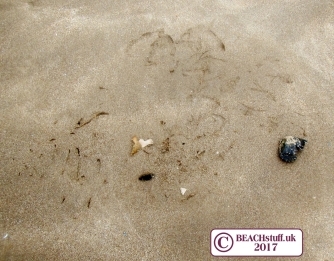 A series snail tracks which all appear to be heading towards the relative safety of the sea wall. 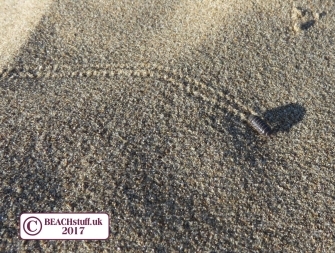 The double tracks made by the millipede's many legs. 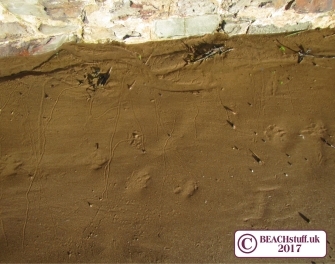 insect tracks seem to show up on even very soft sand. Dawn on a beach is a good time to see the many tracks of insects which have been roaming about through the night. 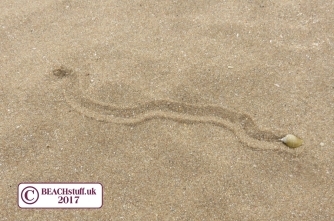 This particular millipede is known as a white-legged snake millipede. 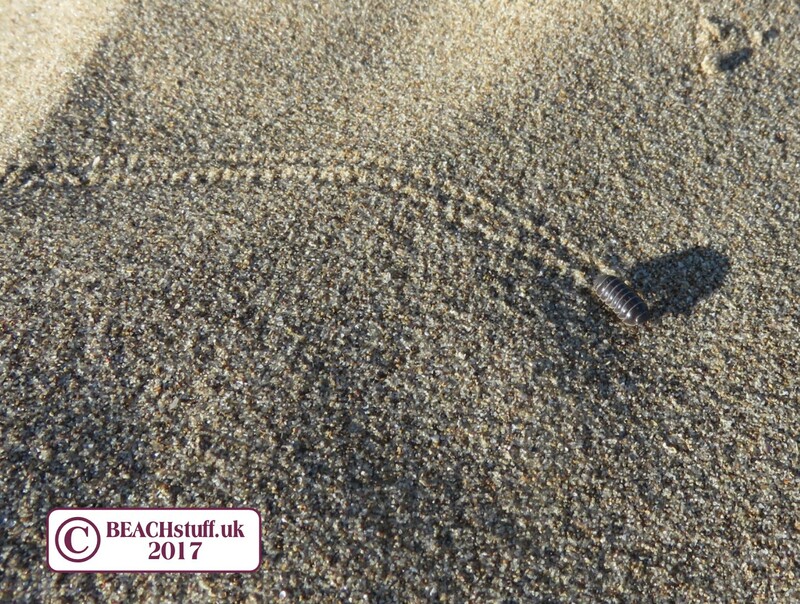 Woodlouse tracks seem a lot more complex than millipede tracks, despite the smaller number of feet hitting the sand. 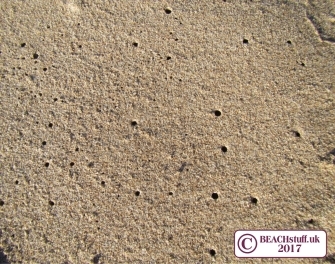 Multiple holes close to the strandline are usually a sign that sand hoppers are about. They burrow down when the tide goes out. For more information see this page.